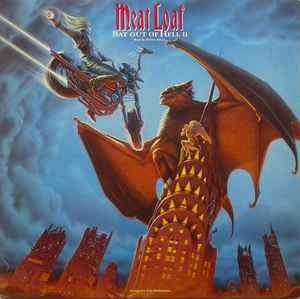 I love Meat Loaf and this album, however this LP is really unplayable. You have to play it at such a high volume, and static or dust will literally blow your ears out. Makes it a very hard album to listen to on vinyl. I really hope they remaster this on a double LP at some point in the US. Agree with all the comments regarding sound quality. We took our copy back to the shop and they stated they were all like that. I expect my copy only got played that one time. Attention: This is something for the collector only! Due to the long playing time the volume is low and the quality is horrible - even when the vinyl is in a very good condition! Agree with the comment above - Terrible pressing - The vinyl looks perfect with no wear and scratches - plays awful. I would hate to listen to a worn copy, would be unlistenable. This was pressed the 1990's , not a good time for vinyl pressing - I think everyone thought CD's where the future so not much effort was put into the issuing of vinyl. Question : can a record still be graded as very good plus or near mint even if it doesn't play very well (as a fault of the pressing not wear)? I own the LP (V2710) of this album. I love the CD version, and when I found the LP on a UK site, I had to buy it. Unfortunately, it's not all I had hoped it would be. This is an absolutely awful pressing. The problem is that they fit 40 minutes on one side and 34 minutes on the the other side of an LP which is supposed to be a maximum of 22 minutes per side. They did this by drastically dropping the volume, which makes the grooves narrower. The side effect is that you have to crank the volume WAY up if you like to listen to it loud. This is really bad because it raises the noise floor to the point where any surface noise will come through your speakers at MASSIVE volume, even though the record is playing at normal listening levels. I usually listen to my amp at the 12-o'clock position for a nice loud listen. I have to crank it near to max volume, and I still can't quite get the same level as a regular LP. In short, this should have been a 2 LP set, not a single LP. It's listenable if it's perfectly mint with no flaws at all, but the CD actually sounds considerably better than this LP.